Bengaluru-based income tax return e-filing platform ClearTax has raised $54.2 million (Rs 400 crore at current exchange rates) in a fresh round of funding, a top company executive told TechCircle. Hong Kong-based investment firm Composite Capital Management led the investment round into the firm, Archit Gupta, co-founder and chief executive of ClearTax said in a text message. Existing investors Sequoia Capital and SAIF Partners will also put in money. However, their participation will be confirmed later, Gupta added. Defmacro Software Pvt. Ltd, which operates ClearTax, will use the fresh capital to accelerate its growth, ramp up its product and technology platform and scale up its operations, Gupta said without elaborating further. Hong Kong-based Composite Capital Management was founded in 2016 by David Ma, a former partner at Hillhouse Capital, a China-focused fund. The investment into ClearTax marks its first Indian bet. “Our team members have a long history of partnering with businesses in consumer goods, retail, transportation and technology in Asia as well as globally,” the investment firm had stated on its LinkedIn page. ClearTax last raised capital in June 2016, when it secured $12 million (over Rs 80 crore) in a Series A round led by Ravi Adusumalli of SAIF Partners. In April 2016, it secured $1.3 million (around Rs 8.6 crore then) in angel funding from a clutch of Silicon Valley investors, including PayPal co-founder Max Levchin. ClearTax, which was a part of Y Combinator’s 2014 summer batch, is also backed by Paytm and other US-based investors including Founders Fund, Maiden Lane and FundersClub. The venture was founded in 2011 by IIT Guwahati alumnus Gupta, chartered accountant Raja Ram Gupta, BITS Pilani computer science graduate Srivatsan Chari and Mumbai University computer science graduate Ankit Solanki. While Gupta oversees the firm's overall business and product, Chari and Solanki look after operations and technology, respectively. 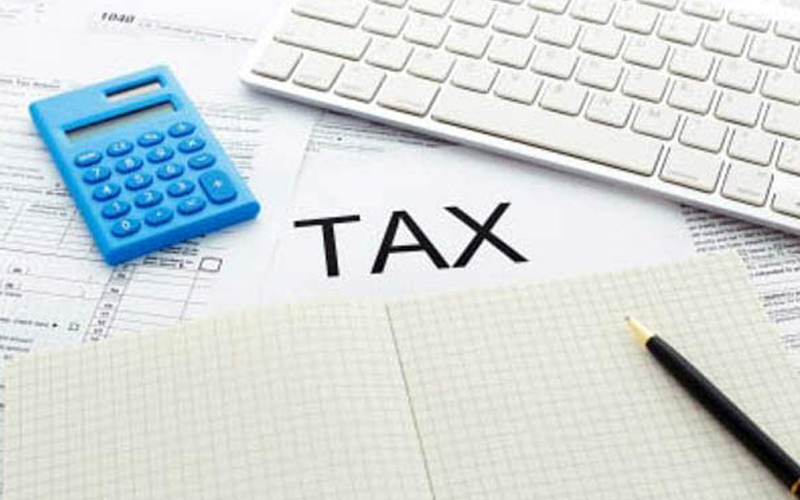 Besides e-filing of income tax returns, the firm currently offers a mutual fund investment portal, Goods and Services Tax (GST) software, an EWayBill generator, digital signature certificate (DSC) utility and business compliance services. Besides, it provides chartered accountant-assisted services that include tax planning as well. As part of its efforts to branch out into multiple domains, the company in April this year had acquired TOOTL an infotainment app which offers personalised content using predictive tools. At the time of the capital raise, it said that it would use TOOTL's technology to curate personalised tax, finance and compliance-related content on its website. According to ClearTax, more than 2.5 million users in India and over 20,000 chartered accountants and tax professionals and thousands of businesses use the platform to file their tax returns online. The company further claims its GST-compliant billing and filing solution is used by 3.6 lakh businesses, 22,000 chartered accountants and tax professionals, and more than 500 large enterprises.